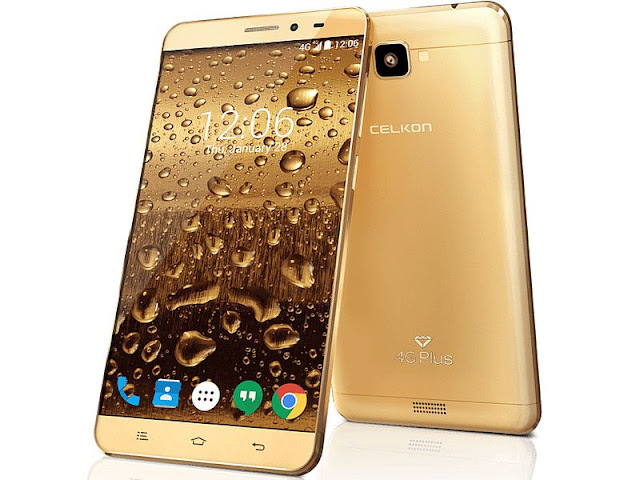 Celkon its new 4G Diamond 4G smartphone launched at Rs 6,369 plus. The company's 4G Plus Celkon Diamond handset is made ​​available on the Amazon site of India. However, many third-party online retail site also can get it. 4G Diamond Plus has a 5-inch IPS HD display with a resolution of 720x1280 pixels. This dual SIM handset with a 64-bit quad-core MediaTek processor, 1 GB of RAM is. 8 GB to 32 GB of inbuilt storage which can be expanded by microSD card. It has an 8 megapixel rear camera with LED flash and a 3.2 megapixel front camera. 2200 mAh battery to power the handset will work.Diamond 4G connectivity features plus GPRS / EDGE, 3G, Wi-Fi 802.11 b / g / n, Bluetooth v 4.0, FM radio, Micro-USB 2.0, USB OTG and GPS / A-GPS feature.